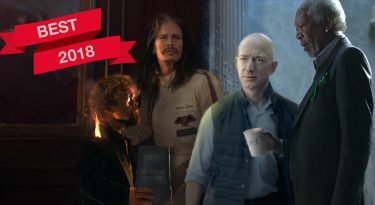 The 2019 Super Bowl Commercials We Can’t Wait To See 0 out of 5 based on 0 ratings. 0 user reviews. For many of us, commercials are the best part of the Super Bowl – and usually what people are still talking about way after the Big Game is over. Now that more and more companies are releasing their ads ahead of the game, we’re starting to miss the anticipation of it all. Which is why we’ve come up with this list of the ads we’ve got our eye on for 2019. Yes, already! 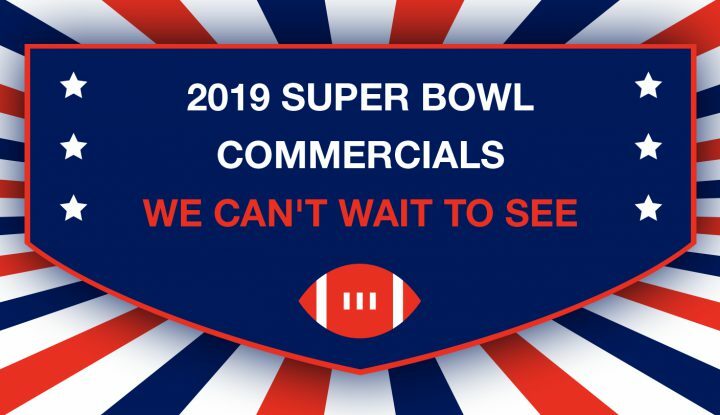 Here it is – the 2019 Super Bowl Commercials that we just can’t wait to see! This year, the leading website building platform pulled what may be the biggest PR stunt in Super Bowl history. But they swear it was really no stunt! According to Wix CMO, Omer Shai, just three days before the Super Bowl, Wix “got a great offer that we couldn’t refuse to run a spot in the Super Bowl, and although we had less than 24 hours to decide and deliver, we made the decision to go for it.” Despite a few very public declarations that they would not in fact be advertising, they announced their 30-second spot starring YouTube giants Rhett & Link just 48 hours before the Big Game. Wix’s 2018 offering was miles apart from their epic 2017 #DisruptiveWorld commercial which saw Hollywood’s Gal Gadot and Jason Statham star in an action-packed car chase. But that’s what we love about these online maverick’s – every year is wonderfully different. And that’s why we just can’t wait to see what 2019 will bring. When it comes to Super Bowl commercials, Budweiser has yet to disappoint. While the Budweiser Super Bowl ads in 2017 and 2018 sent powerful messages, we suspect that 2019 will see the beer giants return to the lighthearted puppies and Clydesdales of yore. We predict a humorous twist for 2019. Audi took a back seat this year after its hugely impactful 2017 Super Bowl commercial made waves by promoting “equal pay for equal work” with their #DriveProgress campaign. We hope the reason they sat out this year was so they they can pull something truly memorable out the bag once again in 2019..
Also sitting out of Super Bowl LII was global car company, Mercedes. After the Mercedes Super Bowl LI commercial, directed by the Coen Brothers and starring Peter Fonda (Easy Rider) drove us wild, we were looking forward to their ad in 2018. But alas, it was not to be. We’re hoping they’ve got something really special in store for 2019! Clearly one of the best Super Bowl commercials of 2018, everyone’s talking about Amazon’s 2018 Super Bow commercial Alexa has lost her voice, and we see a whole host of A-listers including Rumer Willis and Anthony Hopkins come to the rescue. Previous ads have included big names like Alec Baldwin and Missy Elliot we don’t think 2019 will disappoint. Our prediction – more of the same awesomeness for 2019. 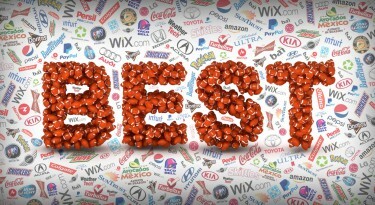 Want to see more great Super Bowl Commercials?